THE AUSTRALIAN WAR MEMORIAL MUSEUM, CANBERRA, ACT. 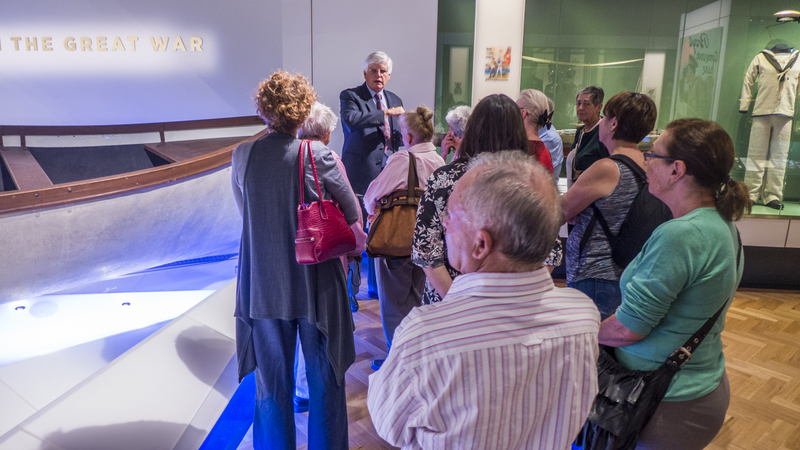 Last Thursday, the 2nd April 2015 I went with fifteen otherFriends of the Goulburn Regional Art Gallery on a tour of the Australian War Memorial Museum in Canberra, our Nations Capital. 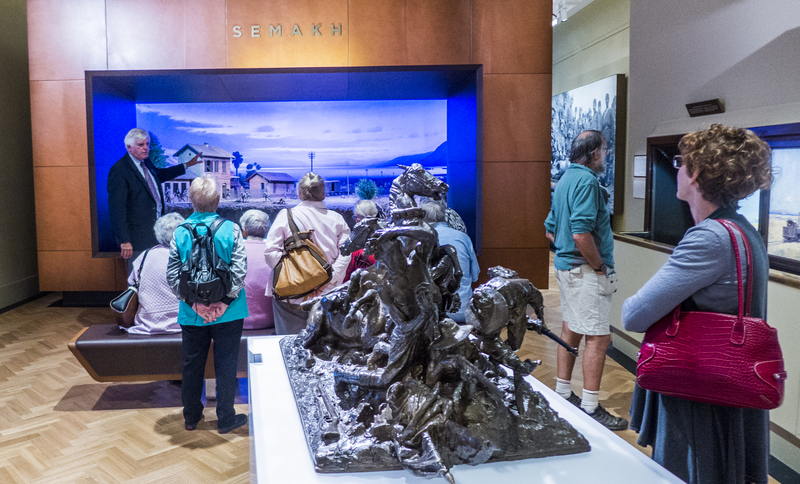 The trip was organised by the Goulburn Regional Art Gallery as it is currently presenting an exhibition titled ‘A salute – Aussie Soldier from 1915 meets Young Turk in 2015’. The Goulburn exhibition recognises the sacrifices made by all sides in the Great War of 1914-1918. The Australian War Memorial Museum in Canberra has devoted one of its many display areas to showcase part of their collection of World War 1 relics which dovetail nicely with the exhibition at our local gallery. 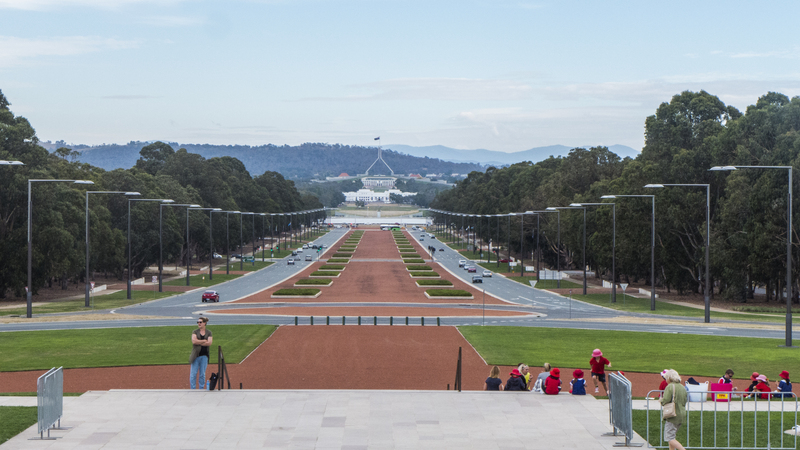 As you will see from the following image, taken from the front entrance to the Memorial, a broad boulevard leads the eye, firstly, to the old Australian Parliament House and then on towards the home of the Australian Government’s new Parliament House, adorned by the wonderful flag pole and our national flag. THE BOULEVARD LEADING FROM THE AUSTRALIAN WAR MEMORIAL TO THE NEW AUSTRALIAN GOVERNMENT PARLIAMENT HOUSE. On arrival, we were met by our appointed guide and immediately commenced our tour. Our first stop was for orientation and took place next to a bullet riddled small boat saved from the battle front for future generations by a forward thinking official civilian war correspondent. Our guide is the distinguished looking man facing our small group. ORIENTATION AND HOUSE RULES PRESENTED ADJACENT TO A BULLET RIDDLED SMALL BOAT. Photography, minus flash, is welcome throughout the museum which is bursting at the seams with intriguing artefacts of the period. Many famous WW1 battles are explained by detailed dioramas and after a couple of hours pausing from time to time for detailed information from our guide, we stopped at a diorama depicting the final hours of the conflict on the 11th November, 1918. A DIORAMA DEPICTING THE VILLAGE OF SEMAKH IN THE CLOSING HOURS OF WORLD WAR I ON THE 11th NOVEMBER 1918. After a short lunch, our tour concluded with a brief explanation of the conservation process undertaken by the conservators and we then boarded our coach for the return home. Our tour was an emotional and educational experience. The participants were unanimous in their desire to return to the Museum as there is so much of historical interest to be seen there. The following image depicts the back view of the Museum. After all, everyone photographs the front. REAR VIEW, AUSTRALIAN WAR MEMORIAL MUSEUM, CANBERRA – MOST IMAGES ARE TAKEN FOR THE FRONT, I JUST DARED TO BE DIFFERENT. Hope you enjoyed the images and the read. The little Leica is one of my favourites. The f stops range from 1.4 to 8. Initially I thought that f8 would be a restriction but it’s depth of field is proving to be more than adequate. Being able to use it fully manual, including focus is an advantage too. I added the optional electronic viewfinder and it is ideal when good composition is vital(isn’t it always) and ambient light is playing havoc with the rear screen. ISO range is more than adequate and the inbuilt flash, though rarely needed, works a treat. Another function I really appreciate is the ability to change the aspect ration with a range from 1.1 through to 16.9. You can bracket too. Finally, in my initial testing I found that the resolution is outstanding and the colour rendition so close to what your eye sees that the difference is undetectable. I have a tiny Nikon point and shoot and an Olympus Tough. Both are great cameras but now remain safely in their boxes, batteries removed, and will probably never again see the light of day. I could rave on about the Leica but suffice to say, if you make the decision to get one, you will not be disappointed. Finally, I took the Leica on the museum trip in preference to my Nikon D810 and Nikkor 24-70 f2.8 lens. That must indicate something.